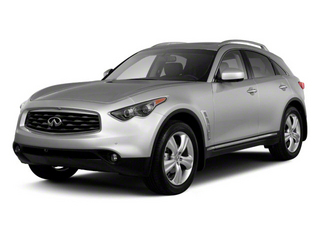 The FX really looks like no other utility vehicle. 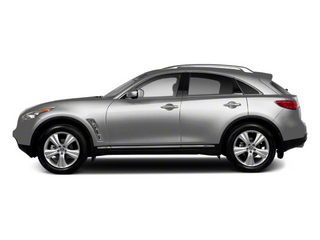 With an aggressive, hunkered-down silhouette, curvy sheet metal and big, flashy wheel designs, plus styling cues that hint of the racetrack instead of muddy trails, the INFINITI FX has an exterior style that exudes performance. 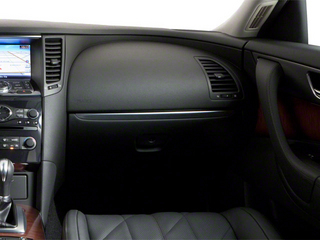 Inside, the FX's cabin feels very classy, styled and appointed more like a luxury sports car than anything else in the utility class. 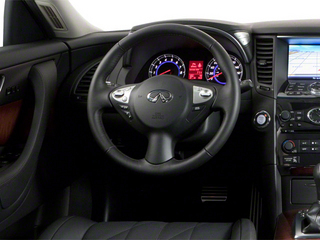 On-road performance is the FX's reason for being; it offers the driving thrills of a sport sedan with more versatility. 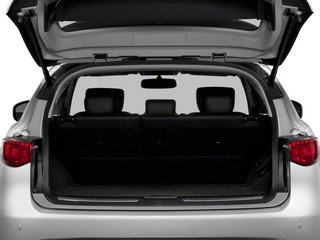 While some cargo space falls victim to the rakish rear roofline, most FX shoppers won't mind. <p><p>Tech features are the FX's other major strength. Several features like the lane-departure system, collision warning system, the Around View Monitor, and Active Steer are likely to help avoid accidents, adding to the FX's already strong safety record. 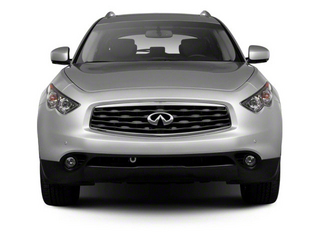 The 2010 INFINITI FX is offered in two simple designations: FX35 and FX50. 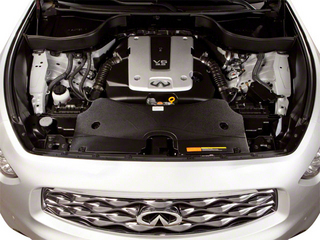 The FX35 includes a 303-horsepower, 3.5-liter V6 engine, while FX50 models get a 390-hp, 5.0-liter V8. The 32-valve V8 comes with VVEL, which varies the duration and lift of the valves for low-rev torque and high-revving passing power. Both engines have strong performance with the 7-speed automatic transmission; FX50 models get magnesium paddle-shifters alongside the steering wheel to manually command shifts. 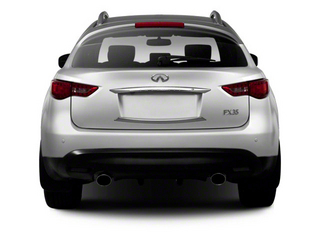 The FX35 can be had with either rear-wheel drive or all-wheel drive, but the FX50 comes only with all-wheel-drive. 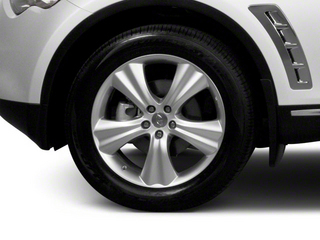 The so-called Intelligent All-Wheel Drive electronically sends more torque to the back wheels during hard acceleration or more toward whichever wheels can benefit from the traction. 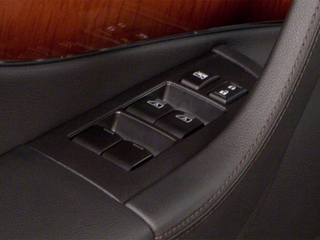 It has a Snow Mode that also damps throttle response. Thanks to a double-wishbone front and multi-link rear suspension and a relatively firm tuning, the FX handles more like a sport sedan than a utility vehicle. 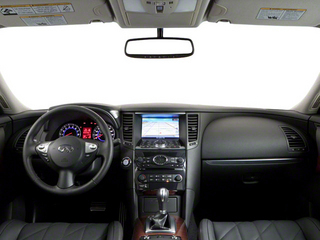 In part, that's because the FX is built on the same underpinnings as the INFINITI G37 Sedan, G37 Coupe, and M sedans. The available Continuous Damping Control helps improve the ride without any detriment to handling, while Rear Active Steer helps aid stability in quick changes of direction or emergency maneuvers. 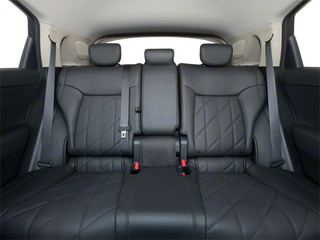 The cabin of the FX is roomy enough for five adults, with especially comfortable front-seat appointments and plenty of places to store small items. 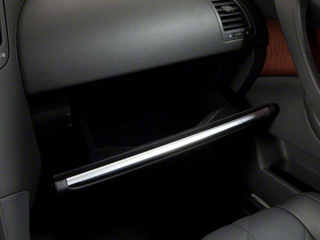 There are four 12-volt outlets, and the FX includes side-mirror puddle lamps that help illuminate the way in at night. 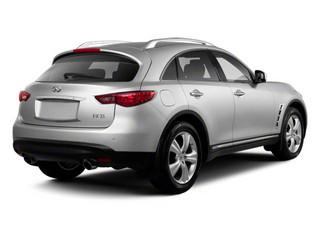 Both models come with distinctive bi-xenon headlamps and LED taillamps. 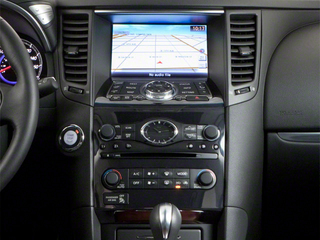 Since the FX35 and FX50 aren't offered in a variety of trims, both models are exceptionally well equipped with soft leather seats, an Intelligent Key entry and ignition system, a HomeLink garage door opener, a power tailgate release, dual-zone climate control, a trip computer and a Bose sound system with a USB connector and iPod interface, plus a 2GB Music Box hard drive and XM Satellite Radio. 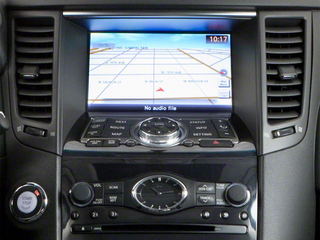 A Bluetooth hands-free calling interface is also included. 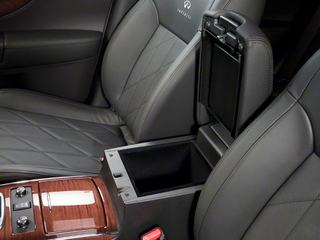 The FX50 adds a few more standard features such as climate-controlled seats and a hard-drive-based navigation system with voice recognition, plus XM NavTraffic and NavWeather (both subscription services) and a Zagat restaurant guide. The options list is where it really gets interesting for the FX. 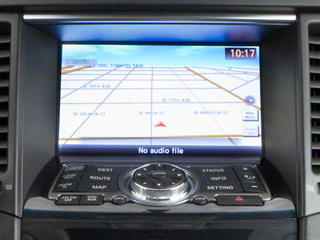 A Technology Package combines Intelligent Brake Assist, a Forward Collision warning system, a Lane Departure Warning system, Intelligent Cruise Control, Distance Control Assist, adaptive front lighting, auto-leveling front headlamps, and rain-sensing wipers--all together likely lowering your chances of getting in an accident. 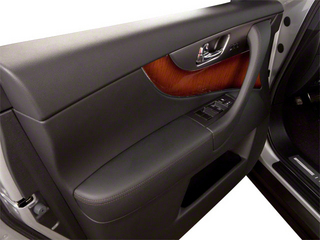 A Sport Package adds Continuous Damping, Rear Active Steer, sport seats and paddle-shifters.